We find it easy to be incensed when wrong is done to a friend. We are ready to fight injustice when someone we love has been wronged. However, God reminds us that our worship means little if we do not also protect those who are weak, marginalized, oppressed, and forgotten. It's not just our friends who need our help; it's also those who have no friends who need us. 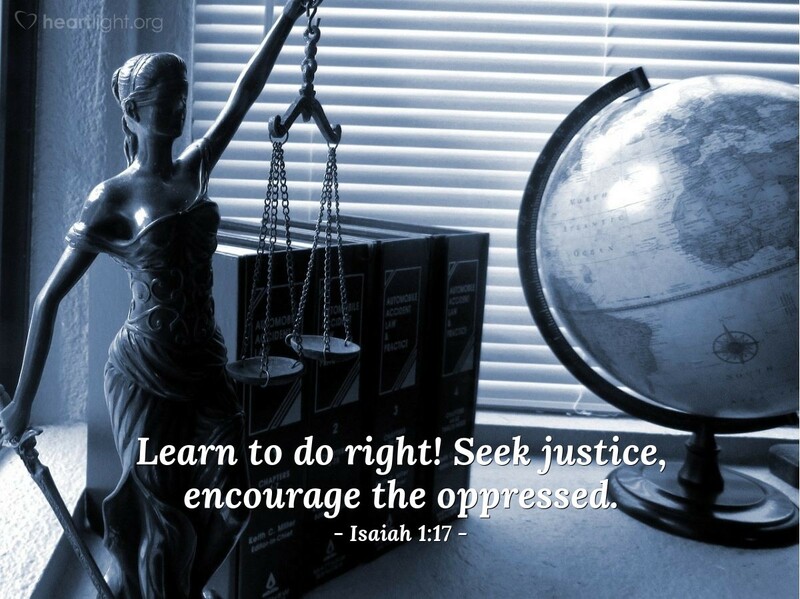 "To do right" doesn't just mean being a good person and avoiding evil in our sanctified little enclaves; it also means to care, comfort, and encourage those no one else wants to notice. Forgive me please, dear Father, for being selfish with your love and grace. I confess that I often find it easy to stay near those who are like me — who look like me, think like me, dress like me. I know that there are so many in the world around me that do not have a friend, much less a defender. Open my eyes, dear LORD, to see those in my world that you would have me protect, encourage, and bless. In Jesus' name, I pray. Amen.